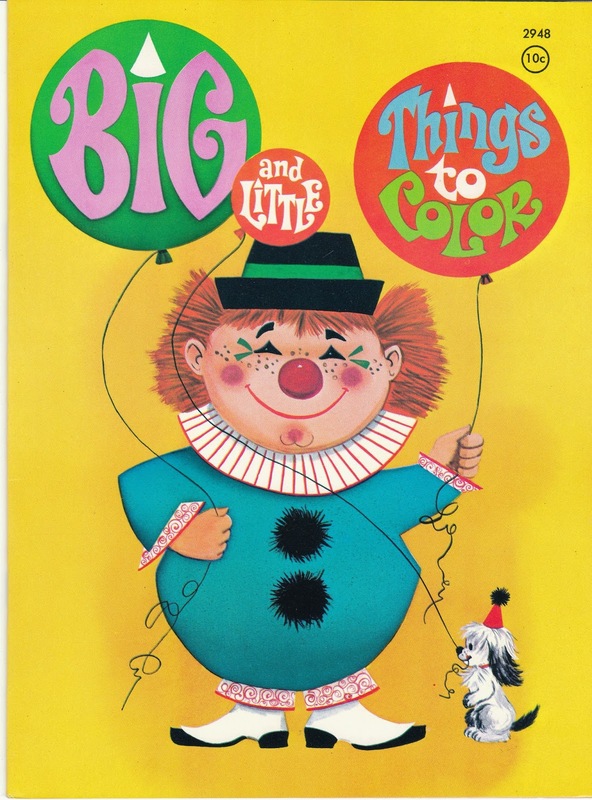 Big and Little Things to Color is a cute 1969 Western Publishing coloring book. This coloring book is unused, old store stock. The cover art is fun - a clown with balloons and a cute little dog. 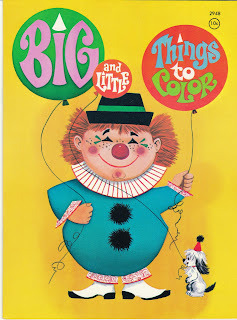 You'll find this book at Birdhouse Books, Big and Little Things to Color.